Many professional sports teams, including the Oakland Raiders, don't take electronic tickets. 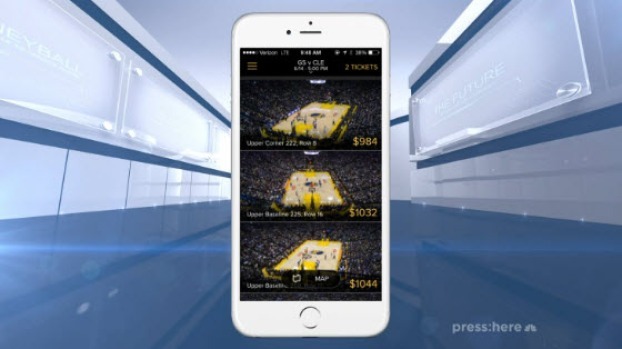 Gametime, a mobile app that sells last-minute game tickets, hopes to change that. "I guess it depends on how much you want the 18- to 35-year-old demographic," Brad Griffith, chief executive of Gametime, told Press:Here. He estimates about 30 percent of NFL teams will only deal in paper tickets, but the rate is only about 10 percent in other sports. "It's harder as a larger organization to innovate like a smaller organization," he said. Other sports leagues, such as Major League Baseball and Major League Soccer have embraced the app. Gametime, which operates solely through a mobile device, sells users last-minute tickets they can use electronically at the event. The last-minute aspect of buying the tickets can also mean they will be low-cost or at a discount. Millennials are much less willing to spend money on sports tickets. What can teams do? "Now with the shift to mobile, we feel that there’s room and a need for a completely mobile service," Griffith said. "One of the advantages we have is, like, speed and execution."